What??? A second pair of socks. Are you proud of me or what? Who ever said sock knitting is addictive was right. I have no plans to become a master sock knitter a la Andi. But, I see simple socks in my future. I followed Stephanie Pearl-McPhee's "Step-by-Step Cheat Sheet for Socks" and ended up with a pair of socks. Clever! I'm linking in with Tamis Amis FO's...enjoy one more Friday! Very cool. I hadn't see that cheat sheet before. I'm relatively new to socks as well, so always looking for tips. Thank you Christina! I would recommend that you also check "Basic Ribbed Socks by Kate Atherley". It is a very easy to follow first sock pattern. And in my project page, I've linked a YouTube video series on knitting socks that helped me understand sock construction. Good luck! Socks can be addictive! Love them, great colour and I am a big fan of self striping yarns for socks. 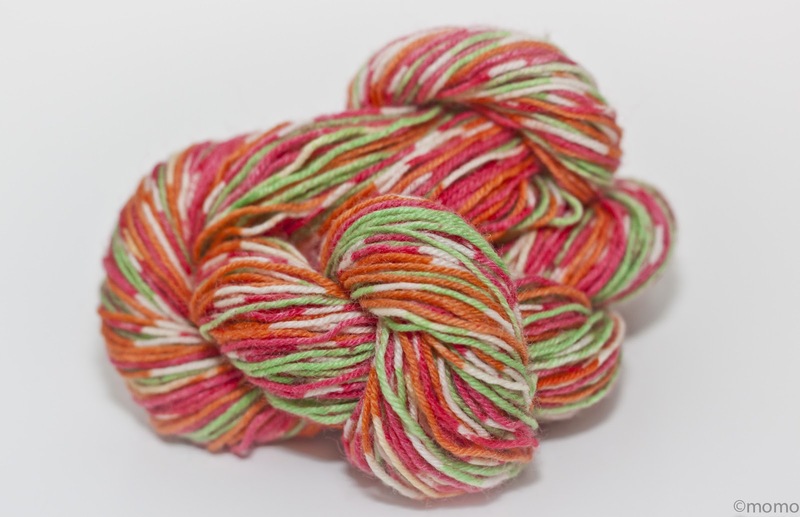 I wouldn't hesitate to claim that self striping yarn can save most knitting projects and bring any mojo back. Have a great week Christina! So cute ... and the yarn is so cheerful. Looks like another pair of bare feet there awaiting socks! Thank you! I must confess that I am hesitant to knit her a pair because they would not fit by the time I will be done. Kids grow so fast!